Ron and Maggie Tear Photography: Fenchurch and Stepney. 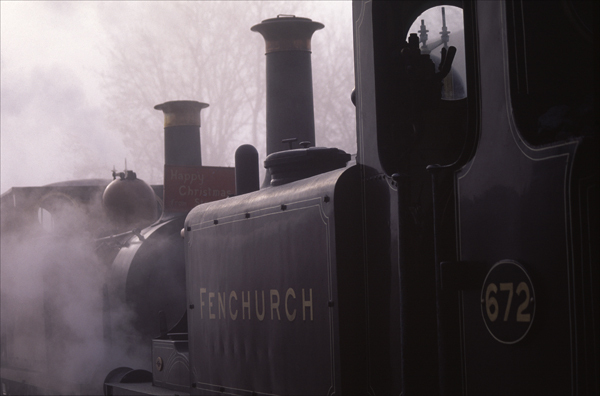 Taken in the yard during the start of the day, these two ancient steam engines were together. A photo opportunity not to be missed along with some atmospheric fog. Sheffield Park, Bluebell railway. East Sussex, UK.